Four time Emmy-nominated anchor, Domonique Benn anchors KSLA News 12 at 5, 6, and 10 PM, Monday through Friday. Domonique has worked in newsrooms in Mississippi, Georgia, and Virginia. The University of Florida graduate has a Bachelor of Science degree in Telecommunications-News and a minor in English with a concentration in African American Literature. Since coming to KSLA News 12 in November 2010, Domonique has worked on several investigative reports. Her report on “Protective Orders” shined the light on domestic violence and an alarming number of murder suicides in Shreveport/Bossier. The report also caught the eyes of state lawmakers who are brainstorming ways to make laws tougher for those who violate protective orders. Another one of her special assignments included a challenge to 12 viewers to get healthier. She created the Knock It Off Challenge and brought in nutrition specialists and fitness experts to help the group lose weight. At the end of the 12 week journey, the group had lost more than 260 pounds. 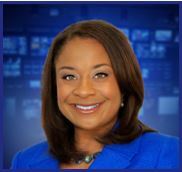 In April 2009, the Virginia Associated Press named Domonique “Best Anchor of the Year”. A recipient of two prestigious Edward R. Murrow Awards, Domonique was recognized for her investigative report, “Bad Medicine” and recognized for team coverage on a deadly train wreck and chlorine spill. In January 2008, Domonique’s hard work earned her national recognition when she was featured in Ebony magazine as one of the 30 talented young adults on the rise. Domonique started her career in Biloxi, Mississippi as a producer before quickly being promoted to reporter. She moved to Augusta, Georgia as reporter and was later promoted to anchoring the top-rated First at Five newscast. While in Augusta Domonique’s assignments included reporting from both state capitols in Georgia and South Carolina to report on some of the most controversial legislation. Every year she looked forward to reporting on the annual Masters Golf Tournament where she reported on the best golfers in the world and the coveted title that thousands come to see the golfers compete to take home. During her career, Domonique has interviewed civil rights leaders Jesse Jackson, Al Sharpton, entertainer James Brown, and the tallest man in America. Domonique was the only local reporter to sit exclusively one-on-one with the entertainer days after he announced he had prostate cancer and she was the only journalist out of local and international media invited to ride with James Brown in his limo to his statue unveiling in Augusta.